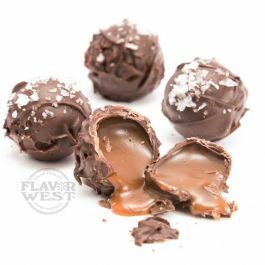 Salty Butter Balls flavor is a brilliantly blend mix of Milk Chocolate, Butterscotch and Salted Caramel flavoring. This flavor offers a sweet taste on its own. Enjoy a unique flavor that never disappoints. Type: Salty Butter Balls Water Soluble Flavoring. Ingredients: Natural and Artificial Flavoring, Propylene Glycol and Ethanol. USP Kosher Grade Flavoring. Usage Rate: 15-20% for E-use. Flavor Suitability: Suitable for desserts, ice creams, pastries, candy, lip balm and more. Specific Gravity: 1.04 No Refunds on Flavoring.